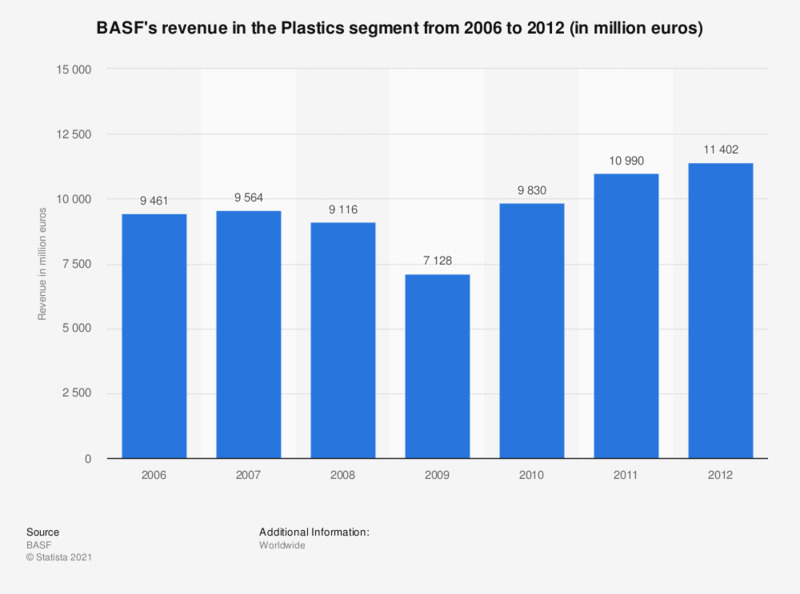 This statistic shows the revenue of the Plastics segment at BASF from 2006 to 2012. BASF is the largest diversified chemical company worldwide and is headquartered in Ludwigshafen, Germany. In 2007, BASF was able to achieve almost 9.6 million euros of revenue in the Plastics segment.